The IoD's Simon Walker said the news was a 'red rag' to anti-capitalists ahead of the general election. Unlike a lot of business groups, the Institute of Directors isn't afraid to get down and dirty with the big stories of the day. This year it's released statements blasting the governance of China's ecommerce giant Alibaba and Mike Ashley's Sports Direct, questioning the appointment of Experian's chairman and even calling for Fifa's president Sepp Blatter to step down (good luck with that). 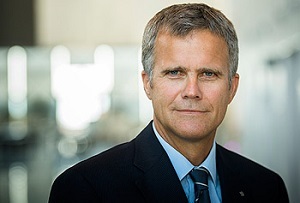 Today its director-general waded into the debate over incoming BG chief exec Helge Lund's massive £25m pay deal. The oil & gas firm's board plans to pay Lund a £1.5m salary, a bonus worth up to twice that, £12m in shares and other benefits dependent on performance. Walker told the BBC the deal was 'excessive, inflammatory and contrary to the principles of good corporate governance,' adding that it was especially large given the size of BG compared to others in its industry. The heads of Shell and BP don't even get that much. Yesterday it was reported the Investment Management Association, whose members oversee £5 trillion of assets, had issued a 'red top' warning against the plans. The ISS, advisers whose clients own around 20% of the FTSE 100, have also reportedly advised investors to reject them. Shareholders will vote on the plans at an extraordinary general meeting (EGM) on December 15th. That's debatable, but it certainly won't go down well with the public.